The purchase of key elements in any adventure wardrobe can be a little daunting. 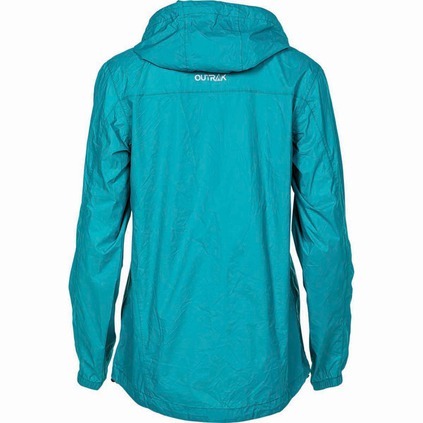 When it comes to the purchase of a new rain jacket, some online research into what women look for in this essential piece of outdoor equipment prevented me feeling like I was a little 'lost in the wilderness’ with the magnitude of choices available. So with help from our network of fabulous Aussie ‘female’ adventurers, it was suggested when I reviewed the RAY'S Outrak Packaway Rain Jacket that the following were some of the things I look out for. Is it breathable, windproof and waterproof? And to what level? Is it seam sealed? Does it have ventilation zippers under the arms, do they rub your skin? What are the features of the cuff, is it double cuffed, elastic, or adjustable and thumbholes? Will the hood still fit with a ponytail? Can it be removed? Does it have a peak? Is there more than one pocket? Where are they located? Can I move in it? Does it stand up to the star jump test in store? Does it fold into a pocket? Does the jacket have a drop tail? Is it lined? If so what with? Slim fit and can I put it on over warmer layers? Does it come in colours other than pink? So armed with a long list of ‘female purchasing specifics’ here are my thoughts. Did this jacket meet the requirements and specifications of our female adventurers? In regards to function, we’d call this a waterproof and a windproof jacket in moderate weather conditions. Breathability didn’t fare quite as well; we would have loved additional ventilation under the arms. The jacket although seam sealed wasn’t lined and if you tend to heat up and sweat a lot during activity, this will be an issue. In regards to design, fit was generous, definitely allowed room to add warmer layers if necessary. Sleeves, although elastic could have been adjustable as well, as they did let a little water in. Although the cap wasn't removable and didn’t have a peak, my ponytail fitted and I have to say I loved the adjustable hood as it had a great fit around the face. A total of four pockets at the waist two inside and two outside pockets, however, I would have preferred two top pockets as waist pockets can sometimes (depending on your body length) be restricted by your backpacks load bearing straps at the hips. Although it isn’t a tapered stylish slim fit like some, the jacket still looks good, and the adjustable hem was a winning feature. The length of the jacket was generous, and when moving in it, it fully stood up to the star jump test. Once again for the price and versatility as a micro-adventurer ‘all rounder’ a winner. There were some key features of this jacket we felt the design team had considered. Generous sizing, length, number of pockets, the adjustable hem and hood were great, although design fit and ventilation are still key things females are looking for. The Packaway Rain Jacket by Outrak is crafted from a fully seam-sealed nylon with 6000mm waterproof coating, ensuring you'll be covered when the grey clouds roll in and the weather takes a turn. The design includes an adjustable hem opening and elastic at the sleeve cuffs and hood. Multiple zippered security pockets have been included for stashing your personal belongings, while an internal stuff sack has also been included for easy storage. Available in a variety of sizes and colours.